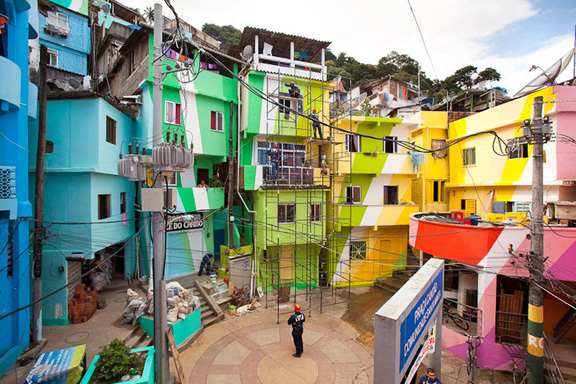 The Favela Painting project is an example of urban renewal mixed with good design. 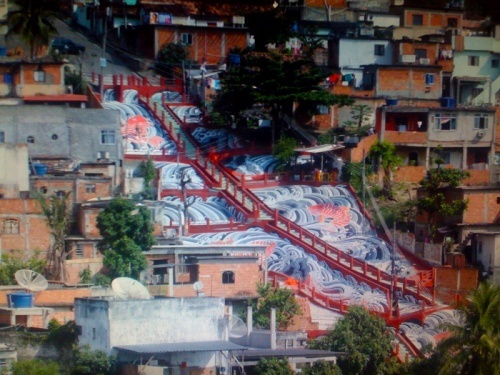 Begun by a designers Jeroen Koolhas and Dre Urhahn from the Netherlands, the project has created a community based art upheavel in Vila Cruzeiro, Brazil. 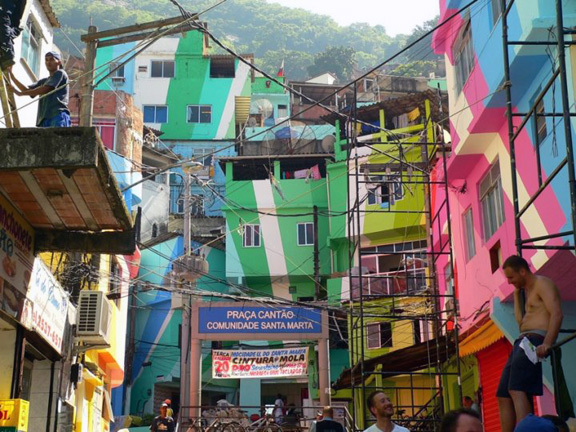 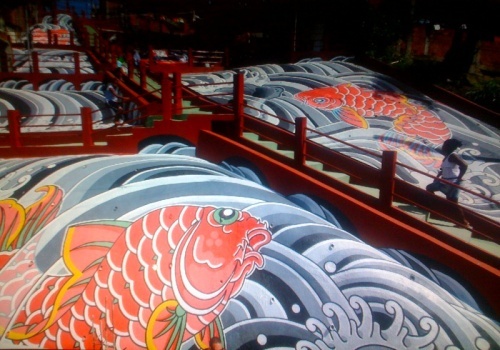 They ultimately painted an entire hillside of homes.